I'm a small tour operator. Is ITB for me? I’m a small tour operator. Is ITB for me? We’ve just got back from ITB – The World’s Leading Travel Trade Show. We’re still excited about all the new things we’ve experienced. In this article, we’d like to share our ITB experience with every small tour operator worldwide. This year was special because the first ITB was held back in 1966, exactly 50 years ago. Since then it has become the largest travel fair. In 2015., a total of 10,096 companies and organizations from 186 countries exhibited their products and services to 175,000 visitors. I bet that 2016. will have even bigger numbers. First things first – preparation! Then you need to see how much money you can invest. Here you can calculate your stand costs. We understand that you’re small and maybe this price seems to be a little bit high for your budget, but… You can share a stand with your friends that have similar agencies, or you can contact your country association and ask them to be a sub-exhibitor at their stand. There are ways to reduce costs. A small tour operator can organize an event at their stand. If you want to organize a press conference, background talk, product presentation or party, you can announce it on the official Event calendar where is visible to every visitor. Tip: use special offers, tastings, music and dance performances, mascots…anything that’s going to be catchy. 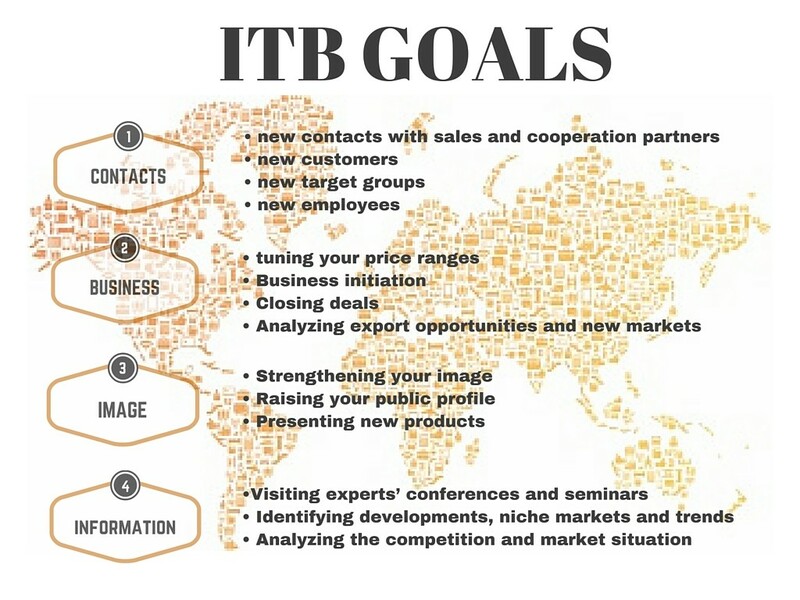 As is said: “You get what you pay for” – so you know that you can get a lot by attending ITB as an exhibitor. But don’t worry. If you don’t want to spend a lot of money on a stand, you can always go to ITB as a trade visitor. There are lot’s of opportunities, too. In the next article we’re going to highlight all the benefits that a small tour operator gets from attending ITB as a trade visitor.